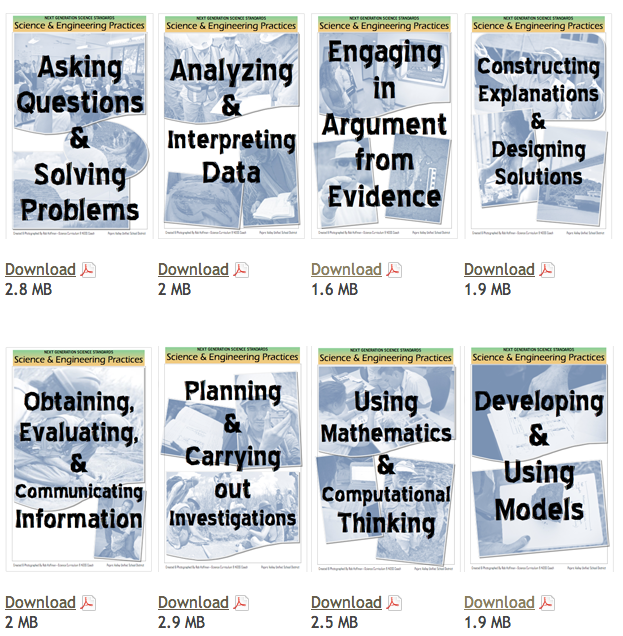 If you are looking to move away from “the scientific method” and embrace the science and engineering practices from the Next Generation Science Standards then this set of downloadable posters from the Florida Museum of Natural History might be helpful. Click HERE to download. This entry was posted in NGSS. Bookmark the permalink.